trappings & chaos of our modern day Christmas to complete their mission and find Baby Jesus. Magi & The Quest for Christmas is the family friendly adventure comedy podcast for the holiday season. It’s a movie, that you listen to! It’ll make you the Hero of the Holiday Drive, and you’ll love seeing your family listen & laugh together! committed to making feel-good entertainment for all ages. Magi & The Quest for Christmas is packaged and ready to go as special holiday programming for your radio station. Breaks are built in for your ads and can be aired as half-hour or full-hour episodes. We would love to talk about Magi & The Quest for Christmas on your show or in your publication. Please get in touch to arrange whatever you’ve got in mind. Secret Level Entertainment controls the rights to Magi & The Quest for Christmas, story, characters, original music, script, and master recordings. 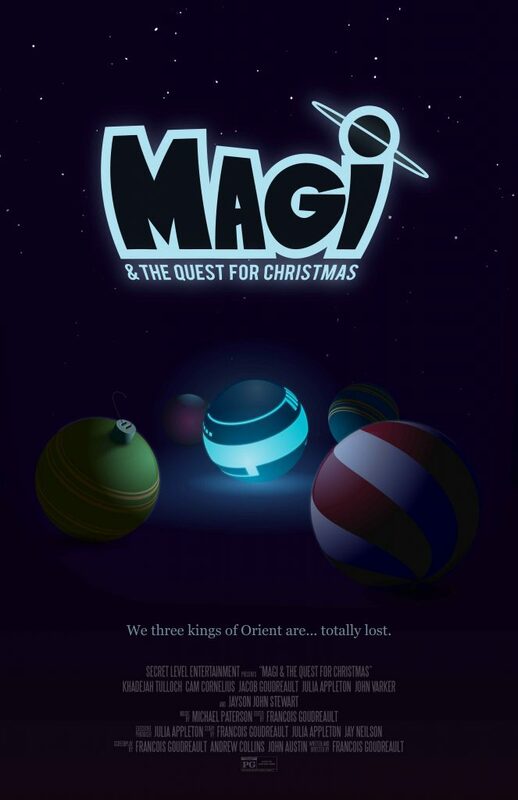 If you’re interested in the rights to Magi & The Quest for Christmas, please get in touch. A full list of sound effects attributions will be available here very soon.